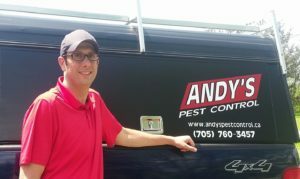 Andy’s Pest Control is a local, family-owned business located in Peterborough. We provide pest control in Peterborough and the Kawartha Lakes including Lindsay, Bobcaygeon, Buckhorn, Selwyn, Lakefield, Apsley, and Bancroft. Andy’s Pest Control specializes in home and cottage pest control. Give us a call and find out how Andy’s Pest Control can help you!